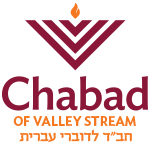 Chabad of Valley Stream, founded in 1995, is nurtured and supported by concerned members of communities on Long Island's South Shore. Chabad is dedicated to the re­establishment and strengthening of our Judaic faith, principles, identity, commitment, and pride. Chabad is a unique and vibrant institution providing a home away from home for any man, woman or youngster who walks through its doors. Its rabbis, staff and vol­unteer workers are pioneers in the most literal sense, threading a path and showing the way to bring the light of Torah and Jewish tradition to all Jews. Acceptance of every Jew on their own level regardless of their level of religious commitment or practice has become a trademark of Chabad. And by blending traditional values with modern day technology we have been successful in reaching even the most alienated, helping them appreciate their roots and identify with their Judaism with enthusiasm. Thanks to G‑d's infinite blessings and the generous support and involvement of mem­bers of the community, Chabad of Valley Stream has grown rapidly during these years. Today Chabad of Valley Stream boasts a full array of successful programming, including a highly acclaimed multimedia Hebrew school, ongoing programs for Long Island's Hebrew speaking community, a full adult education program and popular holiday celebrations.